Wicked Dragon Cane | BUDK.com - Knives & Swords At The Lowest Prices! This sword cane features a distinctive look that appeals to sword cane enthusiasts and collectors alike! This item offers a 15 1/2" stainless blade that screws securely into the black aluminum shaft. 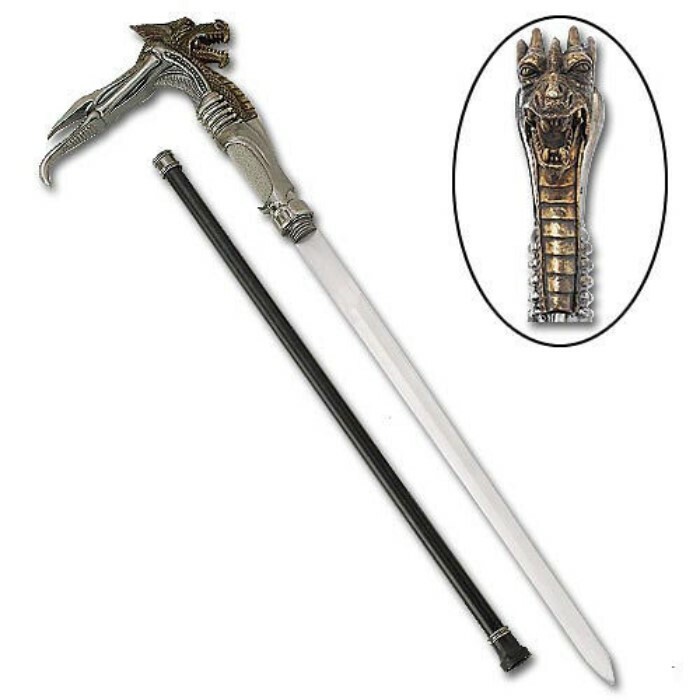 The eye-catching cast metal dragon handle is accented with cold cast poly resin designs with an intricately wire wrapped throat. It not only offers a superb grip when wielding the blade, but its unique shape allows it to be used as a striking and slashing bludgeon weapon in its own right. This unique item measures 36 1/2" overall.